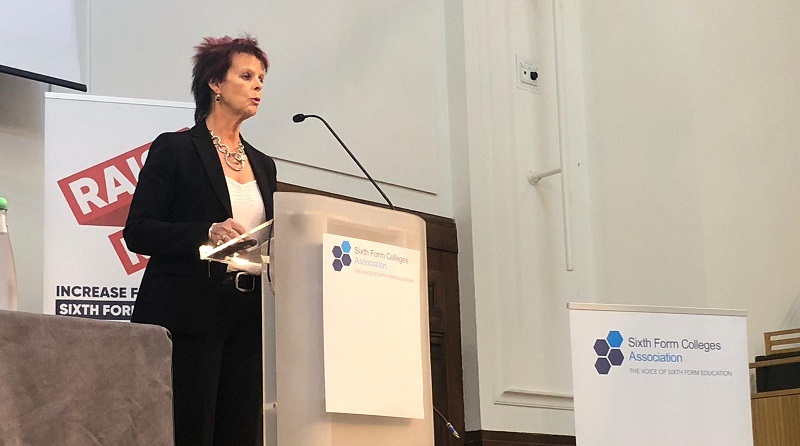 The skills minister Anne Milton delivered a keynote speech to the Sixth Form Colleges Association winter conference this morning, in which she spoke about the Raise the Rate campaign among other hot topics in FE. Here’s her planned speech in full. I know for many of you it might seem strange that Sixth Form Colleges come under my remit as ‘Minister for Apprenticeships and Skills’, but I truly believe that there is much that links the work of all Further Education institutions. Whilst you are the leaders in providing a strong academic education, all further educational institutions are linked by their key role in providing direction to young people; helping them grow in maturity through their crucial years; allowing them to develop outside of a school environment; and giving them the aspiration to achieve in whatever field, job or career they go in to. That focus means you have some different challenges from the General FE colleges. But what unites the college sector is more important than what divides it: the best colleges – whatever sign they have above the door, and whatever curriculum they offer – are focused on the needs of their communities, they have expert and committed leaders and governors, and they have educational excellence at their core. Sixth Form Colleges and 16-19 Academies are truly some of the brightest beacons in our education system. You are key to our work to tackle social mobility, taking in a higher proportion of disadvantaged students than school sixth forms – indeed, these are one fifth of all of your students. Almost 90% of these disadvantaged students go on to achieve higher results and progress to sustained education, apprenticeships or employment than students in secondary school sixth forms. Over a third of sixth form colleges and almost half of 16-19 academies are rated by Ofsted as outstanding – this compares to 15% for all FE and skills providers. And this is in spite of what I know have become increasingly challenging financial circumstances. This is down to your hard work, and I applaud you for what you do. I know that a number of you act as quality improvement partners through Strategic College Improvement Fund. The SCIF supports colleges to improve the quality of provision and helps to mobilise and strengthen improvement capacity within the FE sector. The fund is a catalyst for collaboration. If you have not done so already, use this opportunity. I want to congratulate you on the successful implementation of the reforms to A-levels over the last few years, with the first wave of exams in 13 new subjects in 2017 and a further 12 last year. 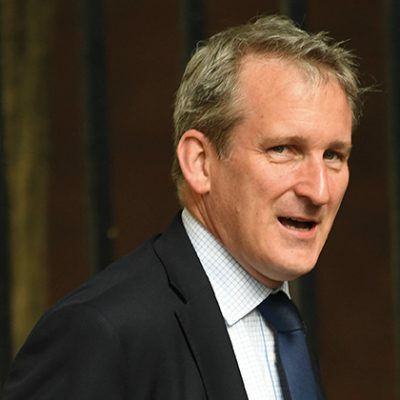 The reforms will continue to roll out over the next two years, with the first exams in a further 20 new A-levels in summer 2019 and another 13 in 2020. Exam reform is never easy in the last 30 years we have had four significant reforms to A-levels – the introduction of the Advanced Supplementaries, Curriculum 2000 which introduced the AS/A2 structure, the introduction of the A* grade a decade ago and the demodularisation this time. We have strengthened the criteria we use to assess new school sixth form proposals. We have set a clear requirement to all schools that apply to open a school sixth form for all local sixth form colleges and FE colleges to be consulted prior to a business case being submitted. Furthermore, during the last free school application wave, we were explicit that all applications for new 16-19 provision must provide evidence of need for additional places in the area and that any request is likely to be approved by exception only. Lord Agnew, the Minister responsible for free schools and academies, and I have been working very closely together on this. I am confident you will see the impact in future waves of free schools. I know that Lord Agnew has also held a roundtable with a number of you about your concerns surrounding becoming an academy and working with your local RSCs. I hope you have seen or will see a difference and are working in partnership with your local Headteacher Boards. If there is more that either he or I can do please don’t hesitate to ask, either by contacting me directly or indeed by speaking to the Association. So congratulations to you on your campaign ‘Raise the Rate’ and the wealth of stakeholder support you have managed to get behind the campaign. The level of correspondence sent to the department has resulted in Further Education funding being a top subject for 8 weeks at the end of 2018.